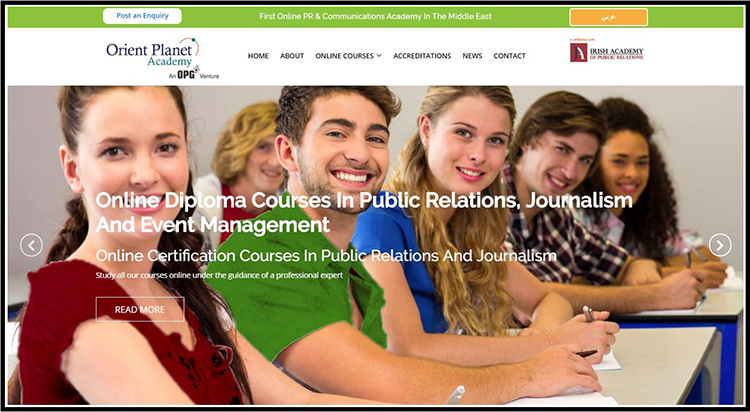 Orient Planet Academy (www.opacademy.com), the Arab world’s first online academy dedicated to public relations (PR) and communications practitioners, recently unveiled its upgraded online platform containing more comprehensive details about its internationally recognized courses. To bridge the skills gap in the continuously evolving industry, online education offers a modern learning structure that provides working professionals with the needed flexibility and time to study at their own pace. Interestingly, the recent figures posted on www.internetworldstats.com show that internet usage in the Middle East in 2017 reached 164.04 million. The Middle East’s internet penetration rate of 64.5 per cent is expected to lead to a steady rise of online education in the region. Online visitors can check out the Academy’s newly inducted Diploma courses launched to ensure that students will be fully equipped to tackle the latest trends and developments in the highly competitive fields of PR, Journalism, and Event Management. Other courses offered by the Academy are Online Marketing, PR, Event Management and Journalism. The latest look of the online platform, which is now live and can be viewed at www.opacademy.com, is more engaging with its easy-to-access features. www.opacademy.com carries a more modern look that reflects the core values and identity of the Academy’s brand.  www.opacademy.com is in English as well as in Arabic to cater to all types of prospective learners in the Arab region. Access to the portal is seamless and can provide a more comprehensive overview of the Academy’s offered internationally recognized certificate programs. The online academy also announced its upcoming schedule for the whole year of 2019. The start dates for its 2019 first quarter’s online classes will be on January 17; February 14; March14. Leading industry practitioners comprise the Academy’s elite group of trainers and tutors to ensure that their students will benefit from their industry knowledge and experience. Orient Planet Academy is the result of cooperation between two formidable institutions, the Orient Planet Group, one of the Middle East’s most rapidly growing PR marketing and communications consultancies, and the Irish Academy of Public Relations, an Ireland-based international online education provider of courses in communications disciplines. OPA offers courses designed for veteran and new industry practitioners looking to improve further their skills and knowledge.